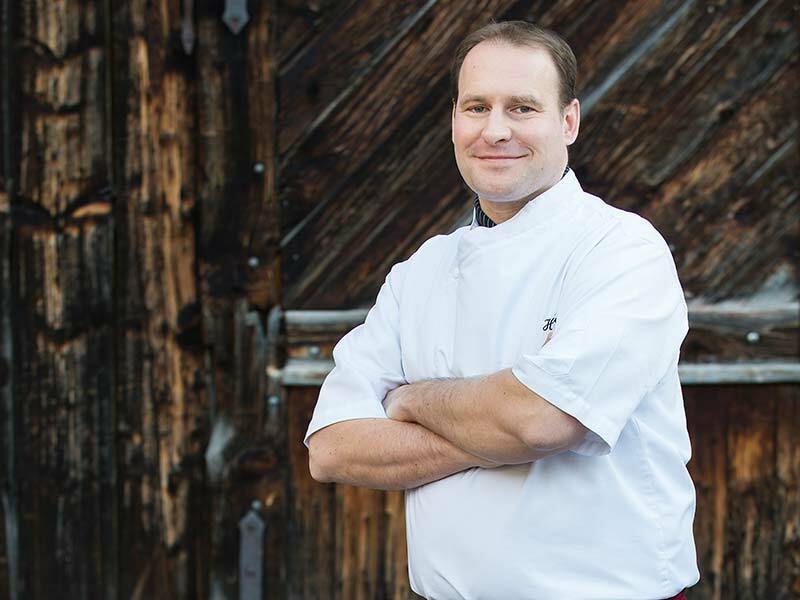 Smells delicious: the dedication and love of life, which are key ingredients in foods served at the Montafoner Hof. Good, healthy natural produce, from farms, forests, meadows, rivers, fields ... care for a taste? We serve modern, balanced, delicious and almost forgotten dishes from both international and traditional Montafon cuisine (we also include charming service and table decorations). And there are always vegetarian dishes available. 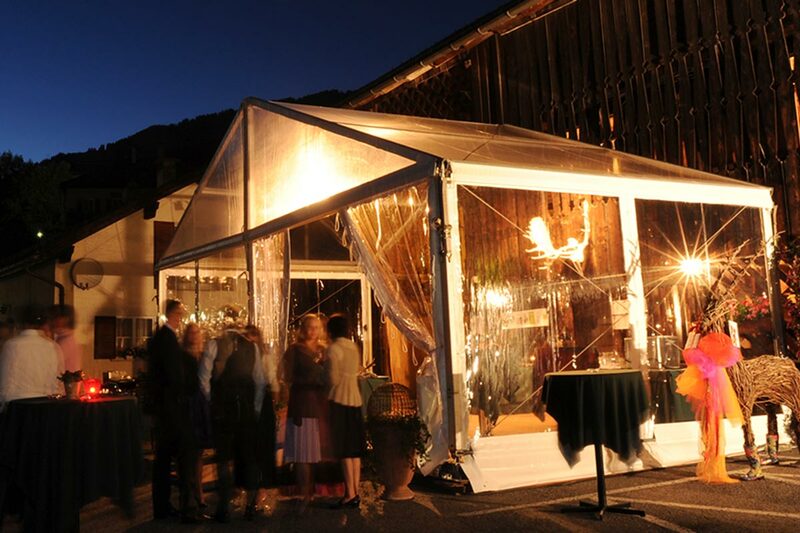 A particular treat at the Montafoner Hof is our habit of providing that little extra, from musical treats to accompany your meal, to unique breakfasts on the sun terrace, to wine tasting with friends. 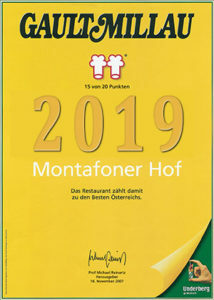 The Montafoner Hof is a regular guest in leading gastro-guides and has always been awarded for years, in 2018 for example. with two hoods from Gault Millau. wie sie fallen und gefallen. Decorated in true Montafon style, our dining parlour boasts a high quality Swiss pine interior, an ideal starting point for culinary excursions to all corners of the globe. THANK YOU for reserving a table in advance at 05556-7100 or via the online reservation form.